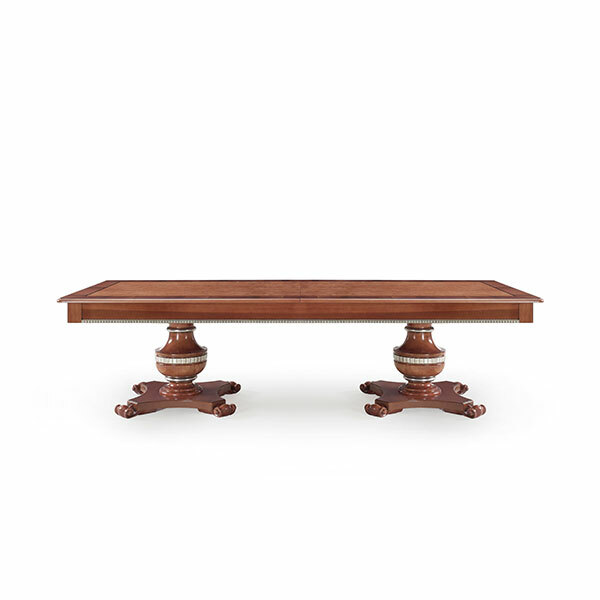 Grand Classic style rectangular table with rather elegant beech wood structure. 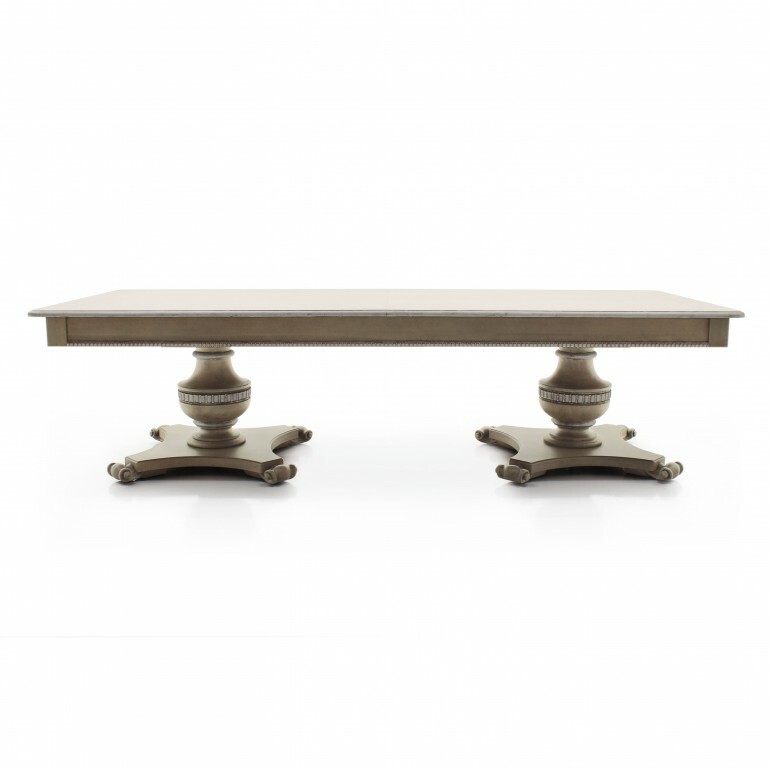 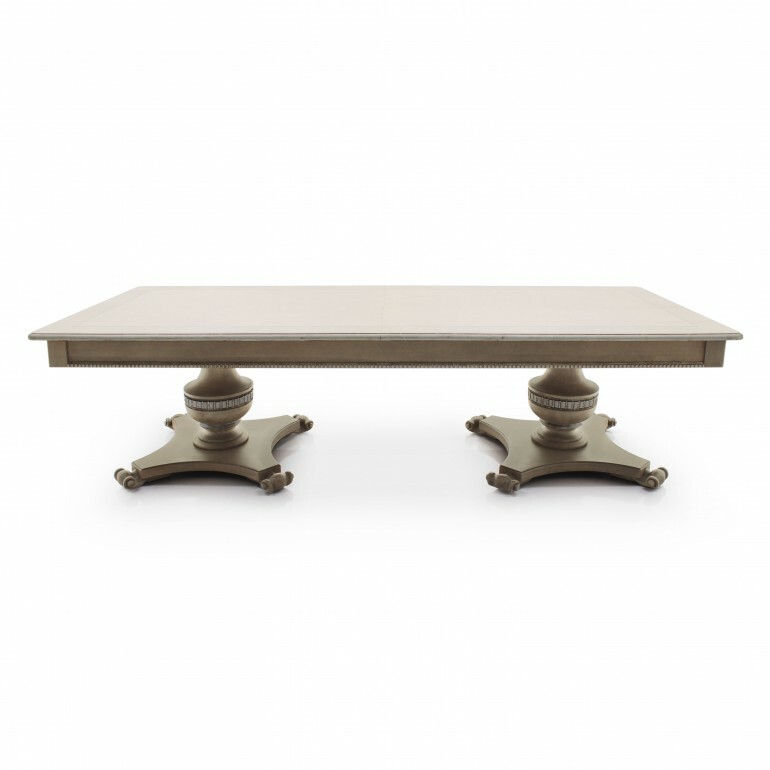 The table has a top with briarwood details and two large legs enriched with details that can be enhanced with a gold or silver leaf lacquer finish. 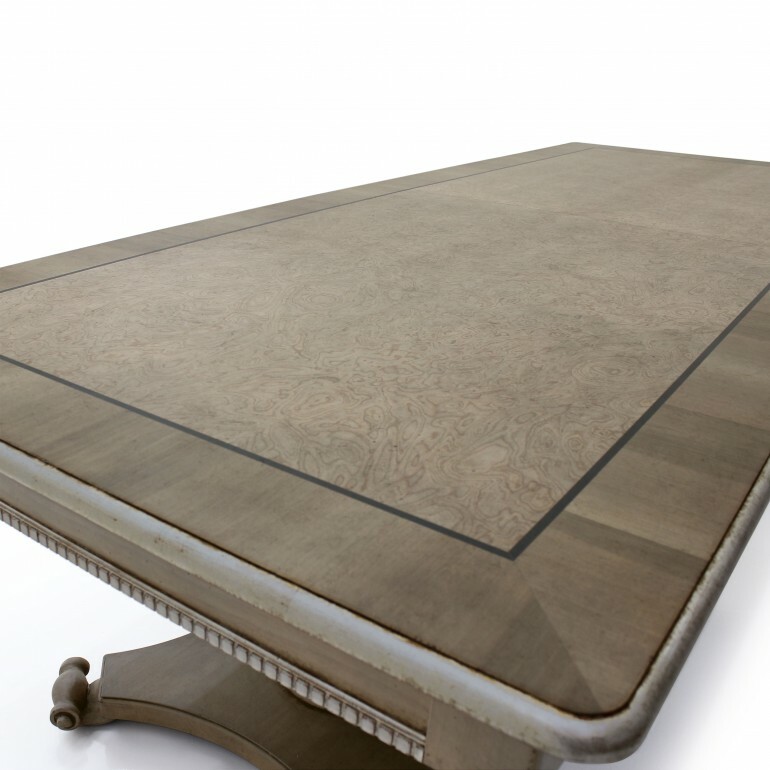 The table has, as standard feature, a top with three 48 cm extensions.